NEW! 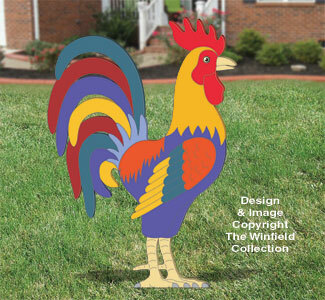 This Large Colorful Rooster will get lots of attention strutting his stuff in your yard this summer! A fun and easy weekend project....just trace our full-size pattern onto plywood using Pattern Transfer Paper, cut out with a handheld jigsaw then paint the different areas the colors noted.